Temple Shalom invites you to find your spiritual, religious, intellectual and social home here with others that share your values. Our broadest goals are exemplified by our Mission Statement: To inspire in our congregation an enduring relationship with God, Torah, Israel and the Jewish people through worship, study, gathering and community service. We are continuing our policy for the upcoming school year: no religious school tuition for existing members and new members. This reflects the Temple’s commitment to strengthening our congregation and our community by reinforcing Jewish education at the heart of our mission. Click here for our Membership Brochure and Application. Read our Programming Guide here. Press here for information on our North Satellite Programs. Go to About Us and watch our video celebrating a year at Temple Shalom! Our monthly newsletter of services, events and activities. Open these strips for further information! 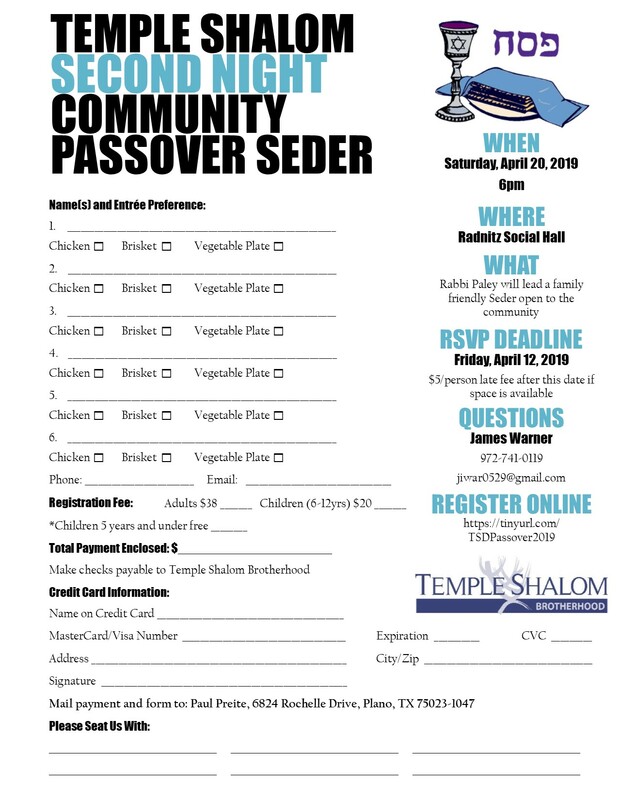 Click here to download the registration flyer. Click here to register online. There are a few more seats available! Payment MUST be made in advance. 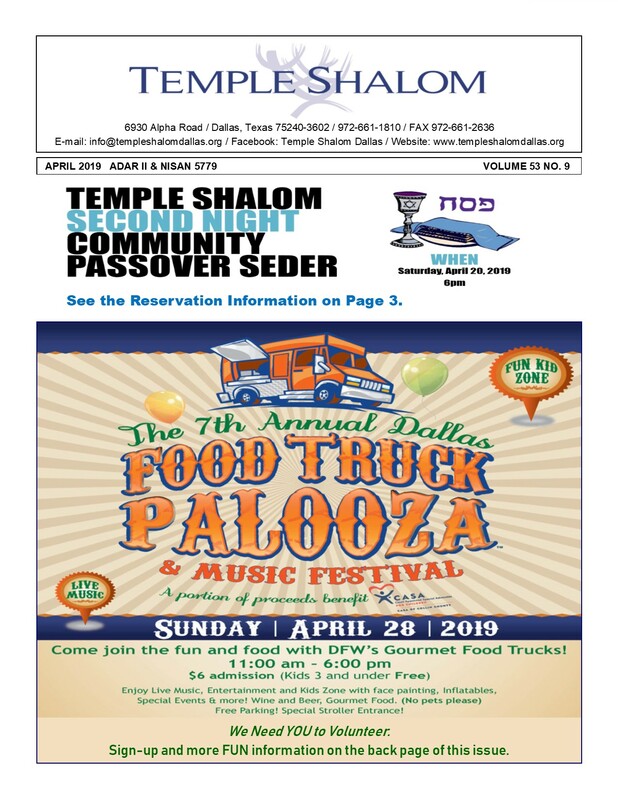 Religious School registration is Sunday, April 14th and Sunday, April 28th from 9:30-11:00am at Temple Shalom. Be sure to stop by the registration table and fill out the applicable forms. If you can’t make it on those days, please fill out the forms and drop them off at the Lifelong Learning Office. Click here for information on programs and activities at our North Satellite location. Lunch groups, dinner groups, the marvelous Traditions gift shop, Friday night onegs, speakers and demonstrations — these are just a few of the many ways that Sisterhood members gather for fun and to assist the Temple. Check our current activities. We hope to see you soon. Without you we are one woman short! We invite every male adult congregant to join Brotherhood. Click here to see what Brotherhood can offer you! 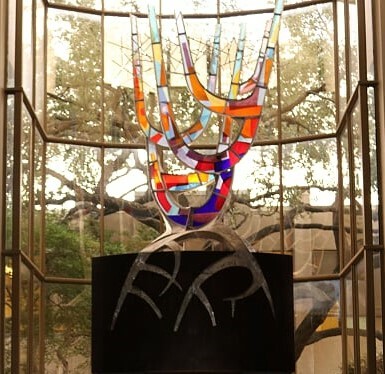 Our Temple Shalom Brotherhood and the Men of Reform Judaism are partners in strengthening our ties, and our children’s ties, to our Jewish heritage and tradition. We support Youth Programs and other Temple Shalom activities through scholarships, programs and manpower. Join us and be a part of the Brotherhood! Shop and strengthen us at the same time! You can support Temple Shalom in several ways while doing your normal shopping. The next time you log on to Amazon, instead of using the regular Amazon page, go to https://smile.amazon.com/. Then simply sign in with your normal Amazon credentials. T he first time you sign in, you will be asked to select a beneficiary. 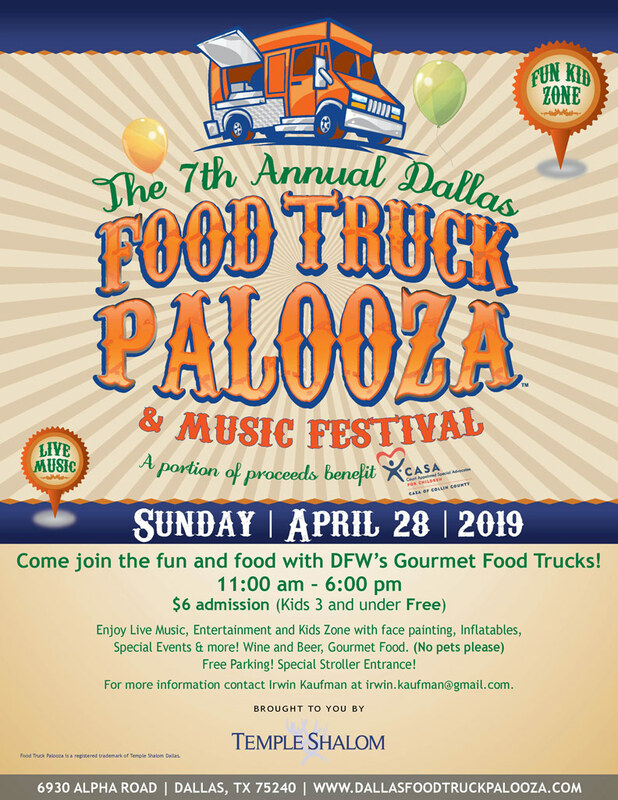 Enter “Temple Shalom Dallas” and you will have the option of supporting either Temple Shalom or Temple Shalom Endowment Fund. Make a selection and you’re done! Each time you sign in to https://smile.amazon.com/ and make a purchase, Temple Shalom will be the beneficiary. Traditions Shop at our gift shop in person or online. Tie your Rewards card to #1549 at any Tom Thumb service desk.